Bambi is the pseudonym of a contemporary British street artist. Known for her stencilled graffiti works, Bambi creates street art to offer social commentary and address political concerns, often through the depiction of notable contemporary figures. 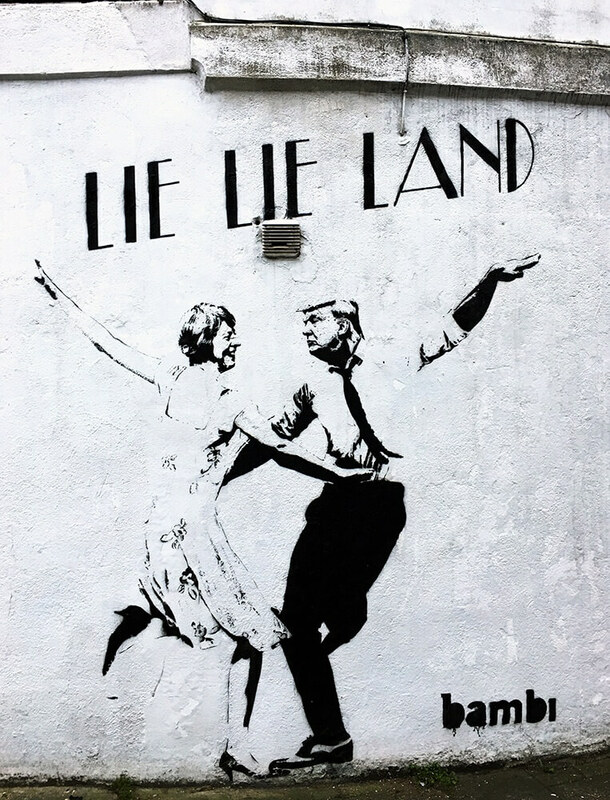 Bambi recently gained international acclaim for her piece entitled Lie Lie Land, which features a dancing Theresa May and Donald Trump in the pose made famous by the movie La La Land.